The Bridgeport Winter Recreation Area is Open to Over-the-Snow Vehicles (including Snowmobiles) for the 2018 winter season on December 15, 2018. We have enough snow depth required for recreating with snowmobiles. The corridor on Hwy 108 is covered with sufficient snow to depart from below People's Gate. See you there! An AVALANCHE ADVISORY has been issued for the next 48 hours for the BWRAs. A very potent winter storm is approaching our region & will bring widespread avalanche activity. The complexity of the snowpack & the new snow variable has the Avalanche Hazard at HIGH. Your vulnerability to avalanches grows exponentially as you enter mountainous terrain during & after this storm. If you see an avalanche or investigate the snowpack give us your input so we can disseminate it to the public. The most anticipated & rumored storm is projected to drop up to a meter of new snow in a short time. All aspects & elevations are suspect to widespread avalanche activity. With the new snow, wind & lingering persistent problems, travel in avalanche terrain is not advised. Wind Slab avalanches release naturally during wind events and can be triggered for up to a week after a wind event. 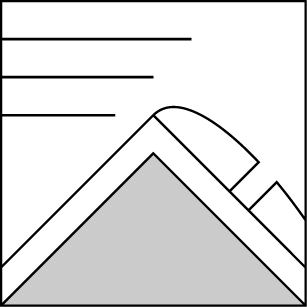 They form in lee and cross-loaded terrain features. Avoid them by sticking to wind sheltered or wind scoured areas. Expect large amounts of snow to be displaced by Strong to Gale force winds during this storm. Southwest winds with gusts up to 125 mph will deposit slabs on aspects NW-N-SE. 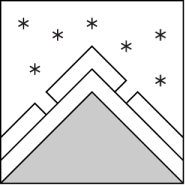 Eddying winds will create large Cornices, adding to the avalanche hazard. Deep Slab avalanches are destructive and deadly events that can release months after the weak layer was buried. They are scarce compared to Storm or Wind Slab avalanches. 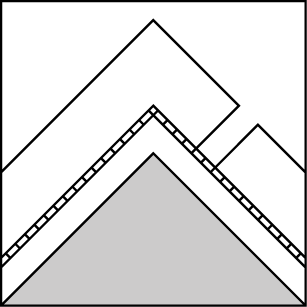 Their cycles include fewer avalanches and occur over a larger region. You can triggered them from well down in the avalanche path, and after dozens of tracks have crossed the slope. Avoid the terrain identified in the forecast and give yourself a wide safety buffer to address the uncertainty. The Persistent Slab problem that we have been documenting could reemerge as a Deep Slab issue with this potent storm. Adding mass & gaining depth, this unpredictable persistent layer may have enough stresses to fail widespread across mountain slopes. Increasing uncertainty of this reactiveness should prompt you to avoid or scrutinize areas with high consequence. AVALANCHE ADVISORY for the NEXT 48 Hours! The approaching storm & forecasted new snow accumulations will create large natural avalanches with very destructive potentials. Lastnight at Sonora Snotel~8770' we gained 15" of new snow with strong ridgetop winds. The Persistent Weak Layer we have been tracking could reemerge as a DEEP SLAB problem tonight as we accumulate absurd amounts of precipitation on this already buried anomoly 2-3' down. The layer of Facets associated with this problem has been relatively dormant to test results lately, but the structure is especially worrisome with new mass adding stresses to it. A great week for traveling in the mountains of the Eastern Sierra. Most of the soft & stable snow was pilllaged by recreationists in typically seasonable conditions. The observed Persistent Slab avalanche problem still lingers & grows depth within the snowpack. The potential for this problem to become a Deep Slab Avalanche issue has forecasters on our toes. Please submit snowpack & avalanche observations! 0600 temperature: 27 deg. F.
Max. temperature in the last 24 hours: 29 deg. F.
Today scattered snow showers with significant accumulations tonight through Friday. An AVALANCHE ADVISORY is issued for the BWRAs begining this morning extending up to 48 hours from now. Winds from the Southwest will be at STRONG to GALE force with gusts reaching 125 at ridgeline. Whiteout conditions are expected with travel impacts, estimated mountain snowfall rates will be Heavy (S5) to VERY Heavy (S10), rain is possible at low valley elevations. For 8000 ft. to 10000 ft. Temperatures: 31 to 37 deg. F. 23 to 28 deg. F. 30 to 38 deg. F.
Expected snowfall: 3 in. 13 to 21 in. 20 to 27 in. Temperatures: 24 to 30 deg. F. 17 to 22 deg. F. 25 to 30 deg. F.
Expected snowfall: 3 in. 17 to 25 in. 22 to 30 in. This snowpack summary applies only to backcountry areas in the Bridgeport Winter Recreation Area. Click here for a map of the area. This snowpack summary describes general avalanche conditions and local variations always occur. This snowpack summary expires in 48 hours unless otherwise noted. The information in this snowpack summary is provided by the USDA Forest Service who is solely responsible for its content. ESIA is a 501(c)3 organization. ESIA partners with the Inyo National Forest, Humboldt-Toiyable National Forest and Tahoe National Forest to help educate and inspire people about our public lands through high quality interpretive products and programs.